Redwood Eye Center offers a broad range of diagnostic and therapeutic services and treatments. It is recommended that every child have an eye exam by age five or upon referral. Every adult should have an eye exam every one to three years, or annually dependent on medical history, family history or certain risk factors. Please specify if you would like an examination for glasses or contact lenses. Our doctors perform thorough examinations of your eyes and provide you with prescriptions for these as necessary. 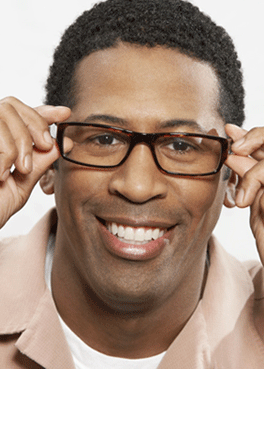 Our optical staff and full service optical shop is available on premises to meet your needs. Dilation (Instillation of drops to temporarily enlarge your pupil allowing examination of the posterior and internal structures of the eye). Please note that dilation can blur your vision and make you sensitive to light, so you will need a designated driver and sunglasses or shades when you leave. In some medical conditions like Diabetes, dilation is required to evaluate for vision-threatening complications of the disease. Can be made for specific problems or complaints and involve one or more of the elements from the full eye exam. Common complaints include dry eye symptoms like scratchiness or foreign body sensation, pink eye, allergies, floaters, or other complaints. 24/7 provision of emergency services for common eye emergencies like injuries, accidents or chemical exposures. These are handled in our office, by after-hour phone call with the ophthalmologist on call, or via our affiliated hospitals at Sutter Solano Medical Center, NorthBay Hospitals in Fairfield and Vaca Valley. Our after-hours on-call answering service number is (707) 750-8247. Our doctors are well trained in eye lid surgeries (including blepharoplasty) as well as Botox® and Latisse®. In most cases these services are not covered by insurance. LASIK surgery is available through our close affiliation with UC Berkeley. Pre- and post-operative evaluation and follow-up can be done at our facility for your convenience.